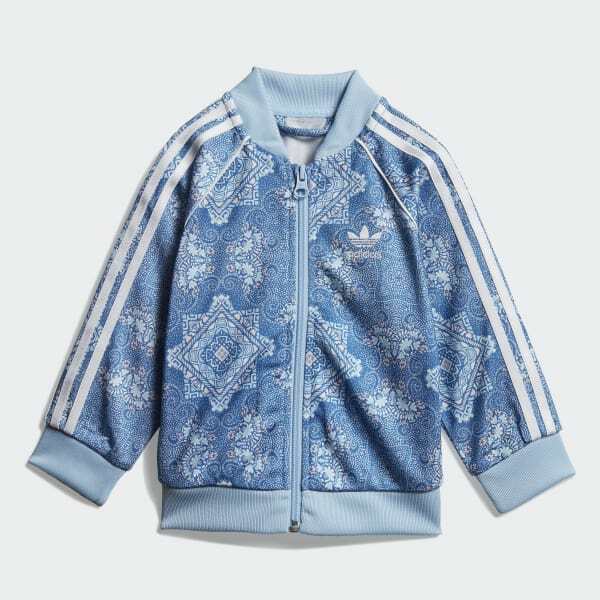 A retro track suit inspired by four cultures. Artwork patterns from Australia, Indonesia, Navajo and African cultures inspire this outfit. 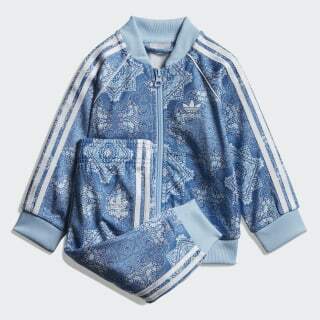 A mix of modern and traditional patterns creates a mosaic print all over this infants' track suit. Both pieces are made with the signature sheen of tricot for a retro vibe.